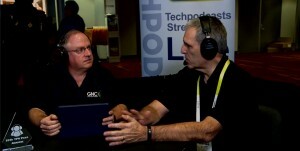 Todd Cochrane talks with a Bill Lempesis, Executive Director of the VESA video standards organization. VESA now has 235 members and is currently concentrating most of its efforts around DisplayPort, a digital display interface standard. They discuss the current state of acceptance of DisplayPort. The new USB-C port is expected to carry DisplayPort video on a wide variety of mobile and other products in the near future. I recently purchased a Huion brand Digital Artist Glove for Drawing Tablet via Amazon for use when drawing and painting with my Surface Pro 3 using the Microsoft Pen digital stylus. The idea of a digital artist’s glove is to electrically isolate the parts of one’s hand that would normally rest on the surface of a glass capacitive touchscreen when drawing or painting. 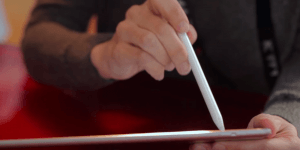 This allows the same relaxed natural hand posture that is used when writing or drawing directly on paper, allowing the side of the hand to rest directly on the surface of the glass without interfering at all with the drawing or painting process with the digital stylus. I find that the Huion Artist Glove for Drawing Tablet works perfectly to isolate the side of my hand from a glass capacitive touchscreen such as on my Surface Pro 3 and also my iPad Air. It provides a very natural, relaxed drawing experience. Normally one must hold one’s hand in a rather unnatural hovering position when drawing or writing with a stylus on a touchscreen surface. An artist’s glove neatly solves this problem. The Huion Artist Glove for Drawing Tablet seems to be made of some sort of stretchy, smooth lycra material. However, trying the same glove on my Lenovo C40 all-in-one touchscreen computer, curiously the glove does not work at all to isolate. I don’t know this to be a fact, however I suspect that the Lenovo C40 touchscreen is made out of some sort of plastic conductive material and not true glass. Tapping lightly on the Lenovo C40 touchscreen to my ears sounds more like tapping on a plastic material than it does tapping on true glass. If you decide to get one of these artist’s gloves, make sure that the capacitive touchscreen you intend to use it on is made out of glass and not a form of plastic material. The Huion Artist Glove for Drawing Tablet seems to be sized a bit small. Reading the Amazon reviews ahead of time, I ordered the large size. I’m glad I did. The glove fits my hand just fine, but it is certainly not what I would in any way consider a loose fit. 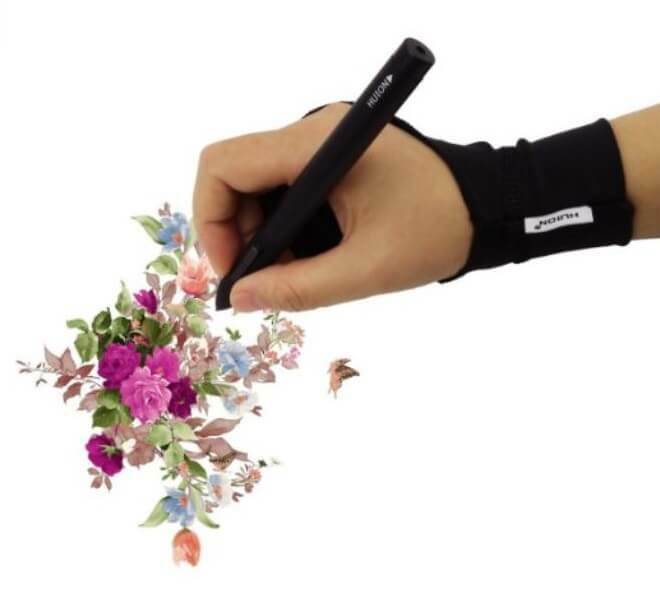 The Huion Artist Glove for Drawing Tablet is constructed in such a way that it can fit either the right or the left hand. It completely covers the wrist, the little finger and the figner next to it; leaving the middle finger, index finger and thumb completely exposed since those are the fingers we typically use to hold a pen or pencil. Even though my Surface Pro 3 has great palm rejection with included Microsoft applications such as OneNote, the palm rejection feature does not function in every application, especially third party drawing and painting applications such as Adobe Photoshop Elements. Using the digital artist’s glove gives me complete freedom to rest my hand on the screen as much as I want, especially useful when making delicate interactions with the stylus on the screen. 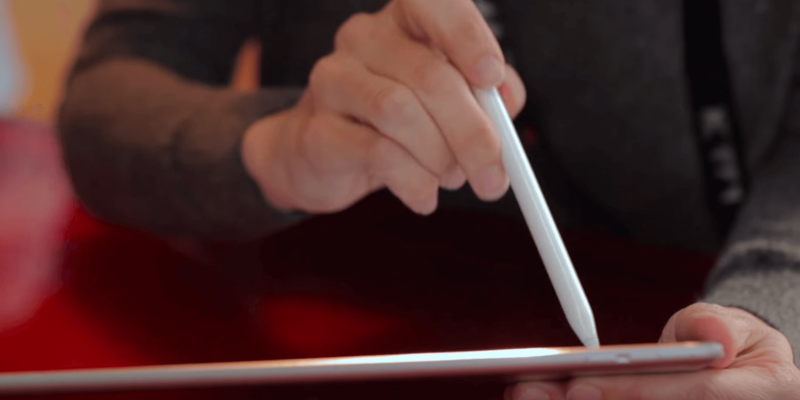 I suspect one using an iPad Pro with the Apple Pencil stylus would enjoy similar benefits. The Huion Artist Glove for Drawing Tablet sells for $17.99 and is an Amazon Prime item. I highly recommend it to anyone that draws even casually on a glass capacitive touchscreen device. I would suggest going ahead and ordering the large size. Ever Want To Learn How To Draw? 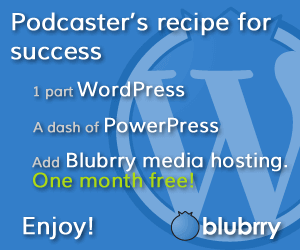 Have you ever wanted to be able to draw decent-looking artwork for your website? One of the things I’ve had a fledgling lifelong desire to do is learn to draw. However, I never took the desire seriously. Somehow I’ve always been convinced that in order to be able to draw well you have to be born with some mysterious “drawing talent” which I somehow never had much of. I recently purchased a Microsoft Surface Pro 3, which comes with a high resolution touchscreen and a precision stylus called the Microsoft Pen. I was drawn to the Surface Pro 3 strictly by the ability to run a full version of Windows 10 on an ultra-portable touchscreen tablet equipped with a powerful processor that doubles as a laptop running full Windows 10. The Microsoft Pen stylus was a curious extra packed in the box. The first couple of weeks I left the stylus in the box because initially I didn’t have any secure place to put it. Once I purchased a protective case from Amazon that has a loop to securely stick the stylus in, I finally dug the stylus out of the box. Only then did I start to play with it a bit, initially looking at it the same way I look at the stylus that came with my Note 4 – potentially useful on occasions, but parked in the holder the vast majority of the time. Curious about how other people were using their Surface Pro’s, I watched a bunch of Surface Pro YouTube videos. I ended up running across a very detailed video by an artist named Riven Phoenix reviewing the drawing capabilities of his Surface Pro 3. As often happens when watching interesting videos on YouTube, I ended up watching some of his other videos, and I quickly discovered he is a veteran 20-year art teacher and has quite a few art training videos posted to YouTube. After following along with several of his videos, I was quickly convinced that his teaching methods could teach me the skill of drawing. I had always assumed that drawing was a mysterious ability you had to be born with, but in fact the ability to draw is a skill to be learned if one is able to supply the motivation and is provided with the proper instruction. Riven Phoenix teaches with the powerful approach of inventing concepts and then constructing sentences with those concepts. After watching several of Riven Phoenix’s videos, I went to his website www.alienthink.com and ended up purchasing full access to all of his instructional videos. He gives free access to the first 19 videos of his 225 video course on how to draw the human figure. 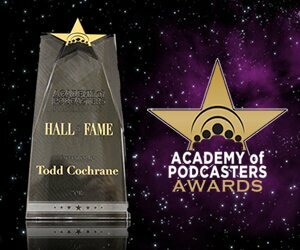 He currently has full access to his entire website priced at $45 dollars, which includes 77 hours’ worth of video lessons. The first free 19 videos posted to YouTube contain a lot of material and completely convinced me I CAN learn the skill of drawing whatever I want. His teaching skills come across very well in the videos. He breaks the task of learning to draw realistic-looking human figures down in a very formulaic way so that virtually anyone motivated and following along with his instructions in the videos will successfully learn how to draw realistic-looking human figures. I am absolutely convinced that anyone with the motivation can use these videos and begin to learn how to draw. To my complete surprise, I’m now finding myself spending an hour or more each day practicing with the videos. I had no idea that purchasing the Surface Pro 3 would end up leading me in this new and fun direction. Though devices such as the iPad Pro and Surface Pro 3 have something called “palm rejection” that enables you to rest your hand against the screen as you draw or write with the stylus, there are products for sale called “digital artist gloves” that cover the part of the hand that naturally rests against the writing or drawing surface. They are designed to electrically insulate the part of the hand resting on the capacitive touchscreen. I ordered the Huion Artist Glove for Drawing Tablet priced at $17.99 on Amazon. I have yet to receive these and will write a future article once I’ve used them for a while. With the popularity of the Surface Pro and Apple’s newly-released iPad Pro, here is an opportunity to learn the skill of drawing and put that new equipment to work. Do you want to watch over the air TV on your laptop or tablet while traveling, then the TVman Wireless DTV Tuner by Dediprog maybe what you are looking for. It is a digital TV receiver that allows you to watch over the air TV. It transfers the signal to any computer or tablet by Wi-fi. So there are no extra wires to carry around. The cord is the antenna. Because it doesn’t depend on 3G connectivity you get a full high def signal. Unlike other options available now which depend on the 3G signal and are often compressed. Dediprog distributes the product themselves and also through other vendors. They expect to sell it in the US for around $100.00. It is available now in Japan and South America. They hope to have it available in Europe within 3 months and the US by end of the year. 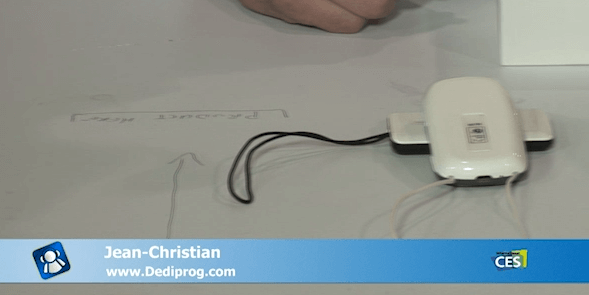 Dediprog also showed off a second item which combines the wireless DTV tuner with 3G. The device can be used as a mobile hotspot or a digital TV receiver. Dediprog is trying to build partnerships with various mobile service providers which would provide the 3G connectivity. They also need to get FCC approval for both devices. iMovee Mobeo (www.i-movee.com/mobeo1.html) brings mobile TV to smart phones and tablets. iMovee Corporation launches the entire range of Mobile TV products including SKY TV (USB Dongle), Mobidik (WiFi Dongle for Iphone, Ipod, Blackberry, PC, MAC etc), Telly MOBO (7″/9″ Portable DVD & TV), Touch Telly Series (Media Player & Portable TV 4.3″ ,4.7″, 7″), Telly NAV (portable Navigation Device with ATSC MH) and CAR Telly (Automotive Set top box). iMovee is also launching various ATSC MH & T DMB modules for manufacturers to readily integrate to their consumer devices and thus reducing the time to market. John Maier from Blue Microphones (www.bluemic.com) introduces the Yeti Pro USB 24-bit 92k microphone, which retails for $249. Maier also introduces a Mikey model that works with current Flip camera models that are equipped with a Flip Port. The new Mikey Flip product should be available by Spring 2011 and will retail for $69 dollars. The Mikey flip brings some needed audio improvement to the flip video camera and I really look forward to it’s availability. Ken Plotkin, the CEO of Hauppage (www.hauppauge.com), describes the Colossus HD H.264 Video Recorder PCI Express card for the PC. The Colossus card is designed to record high definition video from sources such as an X-Box 360, Playstation 3, as well as high definition video coming from a cable TV or satellite box via component video outputs on those devices, thus avoiding the DRM problem. The Colossus HD Video Recorder retails for $169 dollars, available in the first week in February 2011. According to Plotkin, the Colossus is the only recorder solution available that can record high definition video from component video outputs.